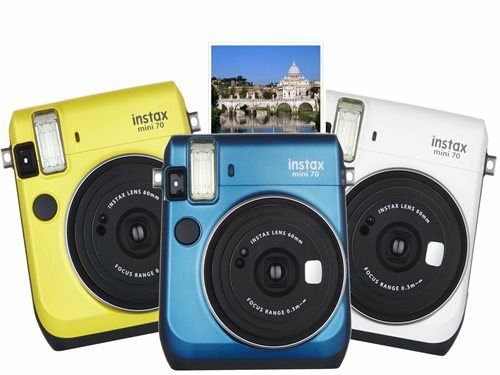 Introducing Fujifilm's latest Instax SP-2 Share Printer. Building on the strength of the previous SP-1 printer this new model produces 2 x 3 " prints from any OIS or Android Smartphone. 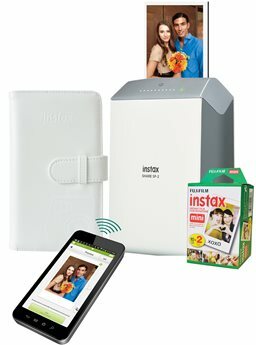 Simply load the app on to you phone and you are now able to wirelessly send images to your phone for prints in seconds. Improved features include 800 x 600 pixel resolution for better image quality, faster 10 second print time and custom brightness and contrast filters. This special bundle not found at retail includes a 20 exposure pack of film, photo album, lithium batteries and 1 year limited warranty. 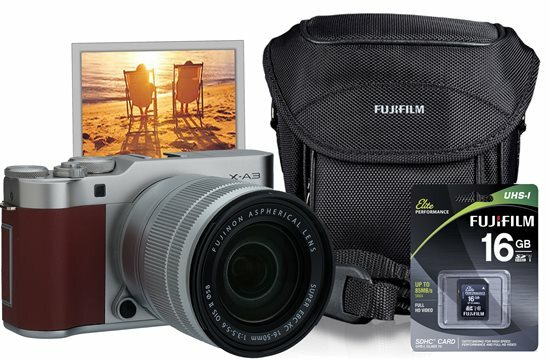 Introducing Fujifilms latest X-A3 consumer digital camera. Half the size and weight of most DSLR cameras but packs the same punch. 24 Megapiixel APS-C CMOS Sensor for superior image resolution. Includes a Wide 16MM - 50MM Lens and offers a 3" Tilt-able Touchscreen LCD panel. Has WiFi capability and comes in a Caramel Brown Leather Wrapped Body with a distinct Retro look. This special bundle not found at retail includes Camera Bag, High Performance 16gb SD Card, Batteries and 1 Year Limited Warranty. Great for any type of meeting, event or recognition award the Mini 70 is sure to please. Simply point and shoot and within seconds this compact camera produces 2 x 3 inch prints that develop in a little a 90 seconds. Now hard print photo's can be produced anywhere without having to run the drug store or mass retailer. Major features include Auto Focus, Auto Flash, Self Timer, Selfie Mode and Macro Mode for Close Up Photography. Camera comes in 3 different colors and includes a 20 exposure pack of film, lithium batteries, camera strap and 1 Year Limited Warranty.